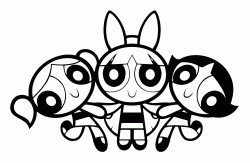 The Powerpuff Girls is an American animated series, created for Cartoon Network by Graig McCracken and produced by Hanna-Barbera. 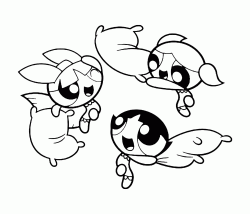 "Saving the World Before the Bedtime!" 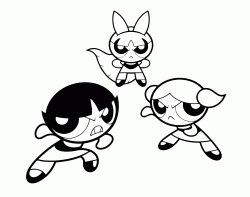 is the motto of the protagonists of the series, three little girls who fight crime and the forces of evil with their superpowers. 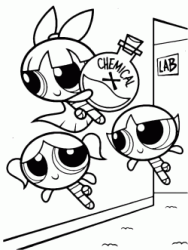 The Powerpuff Girls, Blossom (pink), Bubbles (blue) and Buttercup (green) were created by Professor Utonium, a scientist who, with the intention of inventing perfect girls, mixes in a container three particular ingredients: "sugar, spice and everything nice". 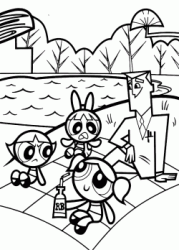 However, the Professor, accidentally, breaks a container of "Chemical X", a mysterious substance with unpredictable effects that generates a powerful explosion when it comes into contact with the mixture, giving life to three little girls with superpowers. 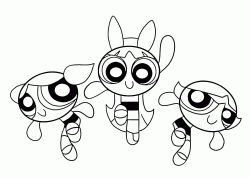 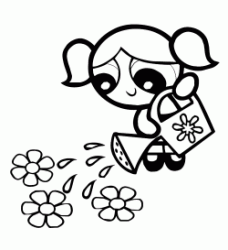 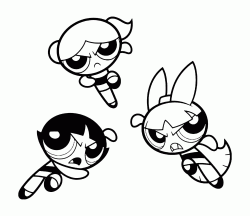 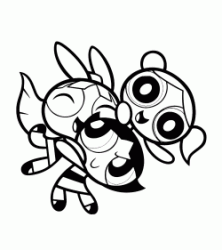 The Powerpuff Girls coloring pages. 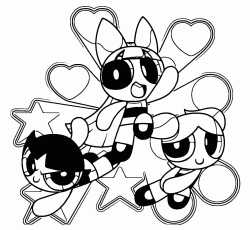 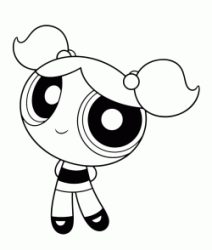 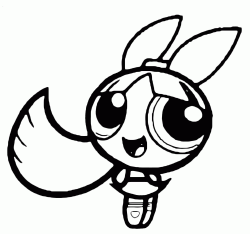 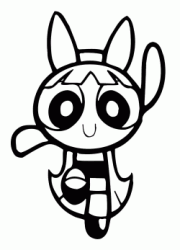 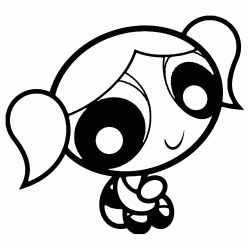 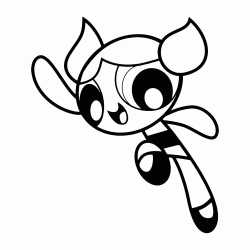 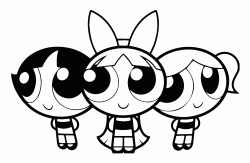 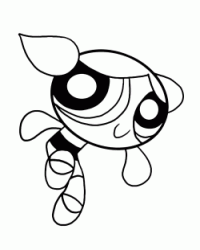 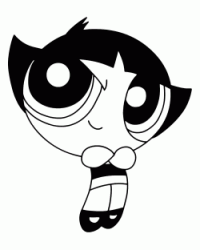 Have fun printing and coloring the drawings of the Powerpuff Girls. 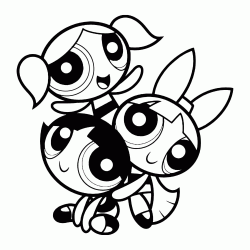 Blossom, Bubbles and Buttercup are waiting for you to live together fantastic adventures under the motto "Saving the World Before Bedtime!"